Popular TVB sitcom Come Home Love <愛·回家> is finally coming to an end. 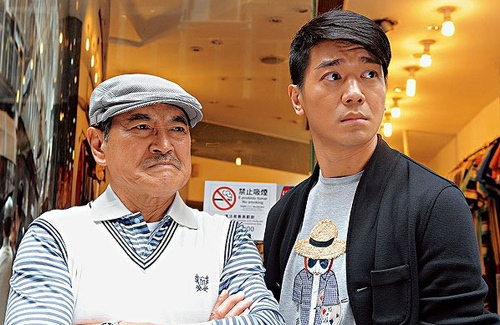 Producer Tsui Yu On‘s (徐遇安) series aired its 700th episode on February 6, becoming TVB’s third longest-running sitcom in history. Premiering in May 2012 to an average of 1.6 million viewers on its first week of broadcast, Come Home Love was initially planned for 180 episodes. The series was extended four more times in the last two years due to its popularity and ratings success. Come Home Love stars Lau Dan (劉丹), Tsui Wing (徐榮), Lai Lok Yi (黎諾懿), Yvonne Lam (林漪娸), Florence Kwok (郭少芸), Angel Chiang (蔣家旻), and Joey Law (羅天宇) as the members of the Ma family, a middle class family living in Hong Kong. Filming together every day for the past three years, the Come Home Love stars have grown close, expressing that they have truly become like a real family. Its about time. It has been down hill since the addition of the new characters. how is it you have episodes 733 and 735 if it’s 700 episodes?!! about time..can’t bloody stand john ma and also pouty lips sister of his! John Ma has no sister, only 2 brothers. How can you complain about a show you’ve never watched?! Ya, I was scratching my head thinking who is john ma’s sister and how come I’m not aware that he has 1. I think he’s talking about the niece. so so tired of them already..
hv enough of john ma and that pouty sister of his!! not forgetting the rice bowl country bumpkin hair cut aunt..who pays to hv a hair cut like that!! Erm, I think you meant his niece, Chi Nei? Thank heavens! The series should have ended at 300! I did enjoy it heaps at first but then the stories started t get draggy and boring. Please end it! It started out good, especially the funny situations arising from misunderstandings by the Ma family. And Lai Lok Yi was really into character. But 100 episodes later, he just got irritating. Same for the Cha Lee See bunch. Having a law firm didn’t make it any better. I really like Lai lok yi. One of the things I wish they did for this long series was develops the characters life a bit more like voh. Have them get married have kids and all that jazz. I hates the draggy love stories. On and off- on and off. Yes, I wish they had done that for Richard & Ha-Jie, let them grow, encounter difficulties the way real life people. That would be more awesome. This drama series is one of the best, though it may be 700 episodes now, I am still not tired with this sitcom. The ratings speak for itself, for this type of sitcom where the ratings average about 25, it is considered good already. Anyway all good things must come to an end.I hope the best for all the actors and actresses in their future dramas with TVB. Overall, really love this drama. Refreshing and gives you something quick to watch without having to follow every single episode. I’ve watched all 700+ episodes of this sitcom and I’ll have to agree with majority of the commenters, since the new character additions to the show it’s not been that fun to watch like the older episodes. They sometimes drag a storyline on for longer than needs to be e.g. the mystery boss. One of my favourite character in the show is Maggie Jie – Damon’s ex-secretary. She is smart, helpful and a humble wife though her husband is rich. Just wonder if anyone else likes her/this character too..? Maggie is ok, not terrifically, but also not irritating, like some eg the new characters, zini, lai gu (after liang fen). She is like staple food, good to have, should have. Popular sitcom? Really? I found it so lame and the storyline cringing. Acting in general wasn’t great either. I found it bizarre how they kept prolonging it. In my opinion it fails so greatly in comparison with virtues of harmony and best selling secrets. Yes, she irritates me too with her whining. She has a high pitch voice & my ears are not suitable to hearing such high pitch. However, on the internet, there seem to be a number of people asking for her return. I wondered what I have missed out on!!! What do they talk about for so many eps? My mom and I were going to see this but got scared away by the number of eps. Try watch the first 200…its short and the begining was really funny…everyday life experiences, that when seen as a 3rd party are very very funny. My mom thought it was stupid because of the number of episodes…but when she started to watch Ma Fu….she says its the funniest thing ever….especially the one episode when he thought he was losing his mind because his wallet suddenly missed money, and then the following day, it had triple the amount! It was a case that the Ma family was just trying to help out when the grandson borrowed money without asking and then put the money back without telling each other. The 1st 500 (the original) were mostly good though like everything, they had hits & misses. Apart from a number of memorable ones, what I like are the Richard & Ha-Jie bits. Wished they anchor Richard & Ha-Jie officially before 500. Now, with the new shows, everything went haywire and it seems that they are even breaking up Richard & Ha-Jie, the last of the original couples. Sad.